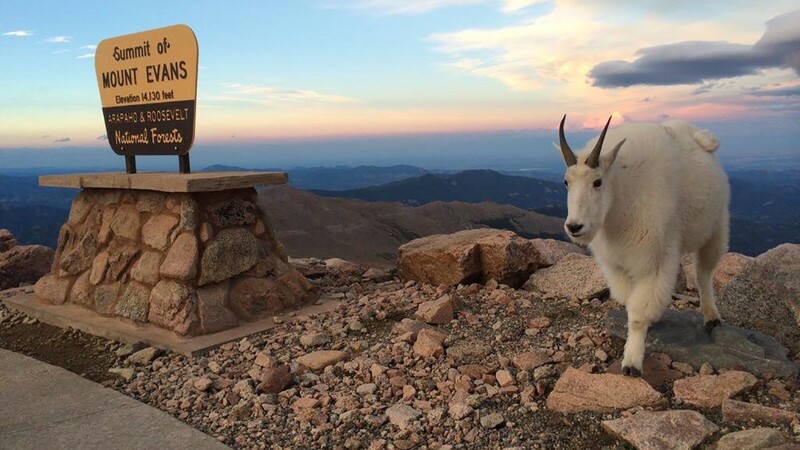 If there’s one climb that stands above all in Colorado it’s Mount Evans. 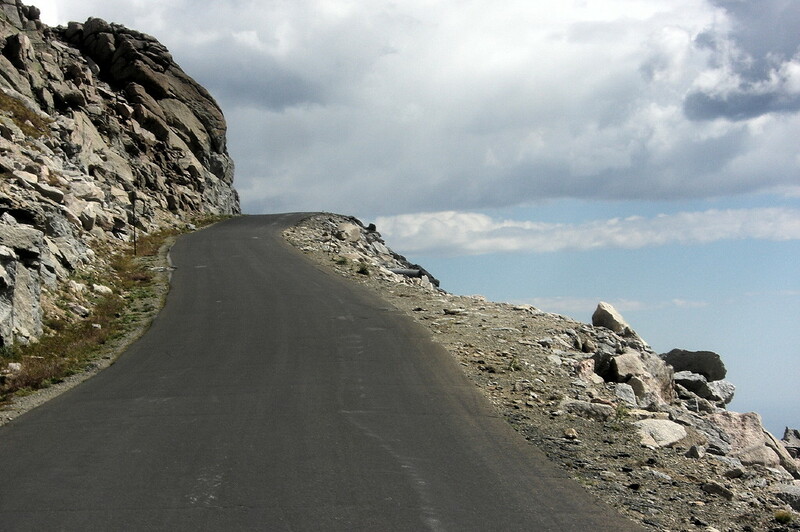 Not only is it the highest summit of the Chicago Peaks, in the Front Range of the Rockies, but to top it off it’s the highest paved road in north America at a whopping 14,130ft (4,307m) elevation! To put that in perspective by the summit you’re just 1,640ft (500m) shy of being at the top of Mont Blanc, the highest mountain in the Alps, but to make it that high in Europe you’ll definitely need to trade your wheels for a pair of ice axes…..not so in the U.S! In cycling terms, it’s like taking the Galibier and sticking Alpe d’Huez on top, starting at an already oxygen deprived 7,526ft (2,294m) elevation and riding all the way until the air is so thin you swear you’re about to enter a vacuum. Starting in the historic mining town of Idaho Springs you face a daunting 27.9 mile ascent, journeying through three life zones passing forests, lakes and ancient trees toward the unknown. Although the gradient is never too steep, averaging 4.6% and topping out at 10% it’s the combination of the altitude and elements working together that make this one of the hardest climbs there is. Period. As you emerge from the Arapaho National Forest conditions can change quickly. In a moment the temperature dropped from 71°F (21°C) to just 39°F (4°C) and with the wind chill it felt bitter to the point my face was verging on freezing. With 60% less oxygen than at sea level, and a ripping headwind, the final miles often result in nothing more than sheer bloody mindedness and a will to survive. Well, at least that’s what it felt like to me. 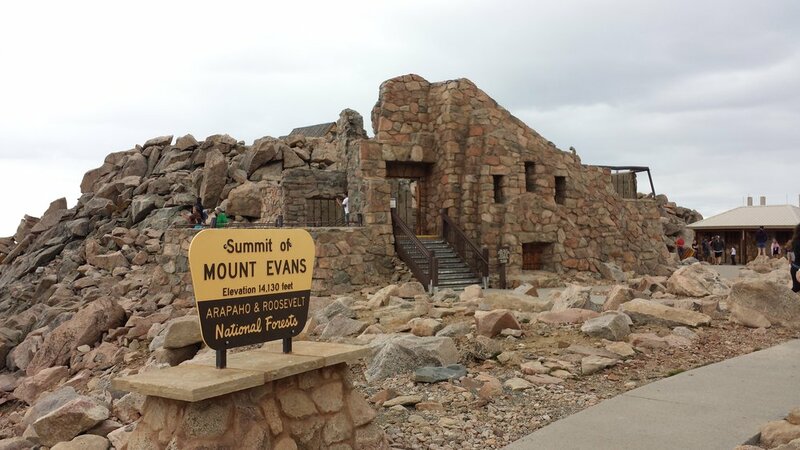 We’d actually planned to ride Mount Evans later in our trip to give some time to acclimatise to the altitude but our original date happened to fall the wrong side of Labor Day (which is normally when the road is then closed after Summit Lake approximately 5 miles from the top). Not wanting to risk it we had to tackle this on day one, straight off the back of a long haul flight coming from sea level. I’d like to think that’s why I found it so hard but the reality is, even on the finest of days and with the best prep Mount Evans is, and always will be, an utter brute. And you know what? We wouldn’t want it any other way.